Market Square is surrounded by a number of historic buildings and monuments. The Diaz Cross on Market Square is a replica of the one erected on St Croix Island in Algoa Bay by Portuguese explorer Bartholomew Diaz in 1488. The City Hall on the right was built between 1858 and 1862 and still houses the office of the city's Mayor. The tower in the background belongs to the Old Post Office building and also dates back to the late 1800's. 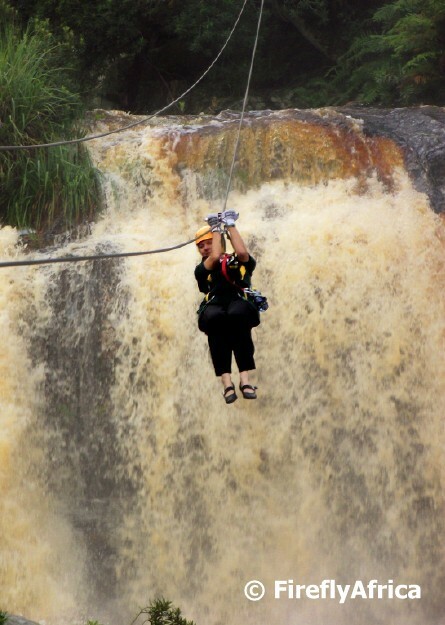 The Tsitsikamma Falls Zipline is a stunning experience about an hour and a half from Port Elizabeth. Its even more awesome when the Kruis River is flooding. There are eight slides that cross to and fro over the gorge. Slides 4 and 5 cross over a couple of waterfalls and the river was running so strong on our visit that the spray was blowing in your face as you zipped across. From one of the platforms the one waterfall made for a stunning backdrop as my fellow zip liners were going along. 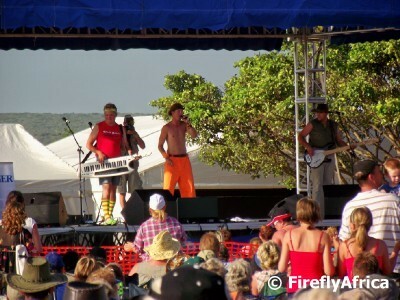 Read about the whole experience and see more pictures at The Firefly Photo Files. 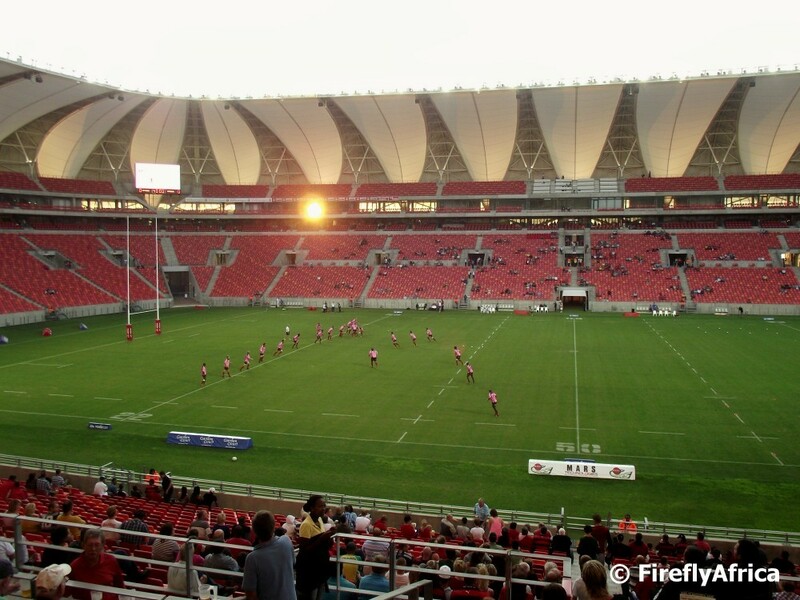 I went to an EP Kings rugby game at the Nelson Mandela Bay Stadium the other day and caught this unusual sunset photo through the gaps in the stadium. Visiting No 7 Castle Hill on Friday morning you would have been excused if you stood there with your mouth hanging open not knowing what was going on. 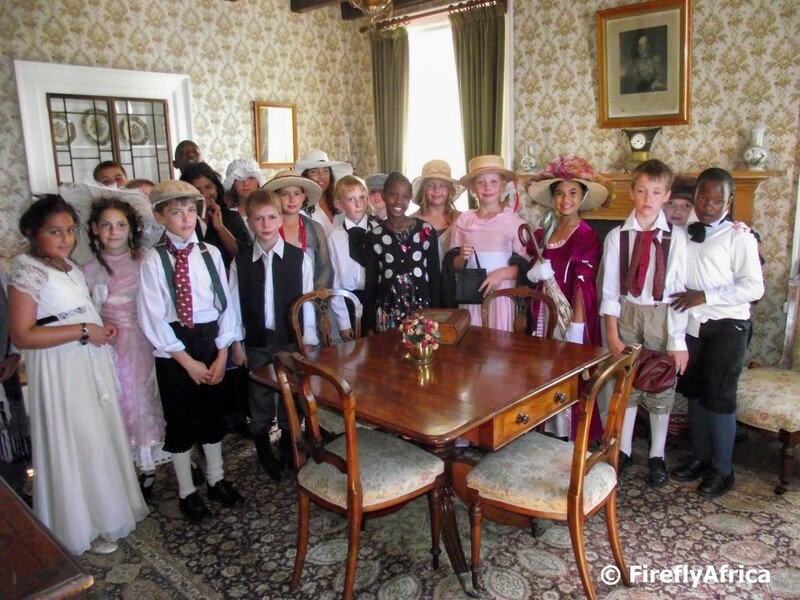 Grade 4's start doing history for the first time and part of the syllabus is the history of Port Elizabeth. 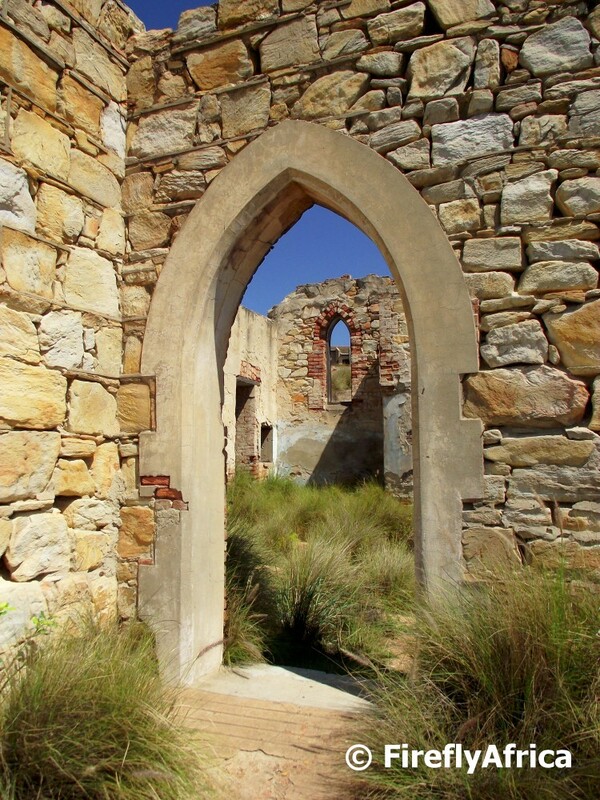 A lot of the schools visit historic sites around the city and one of those sites is the No 7 Castle Hill Museum. Every year St Georges Prep school goes the extra mile for their visit and all the kids dress up in (or as close as possible) period clothing creating a highlight on the No 7 Castle Hill calender. I got word of the visit and made sure that I was there to snap a couple of photos. 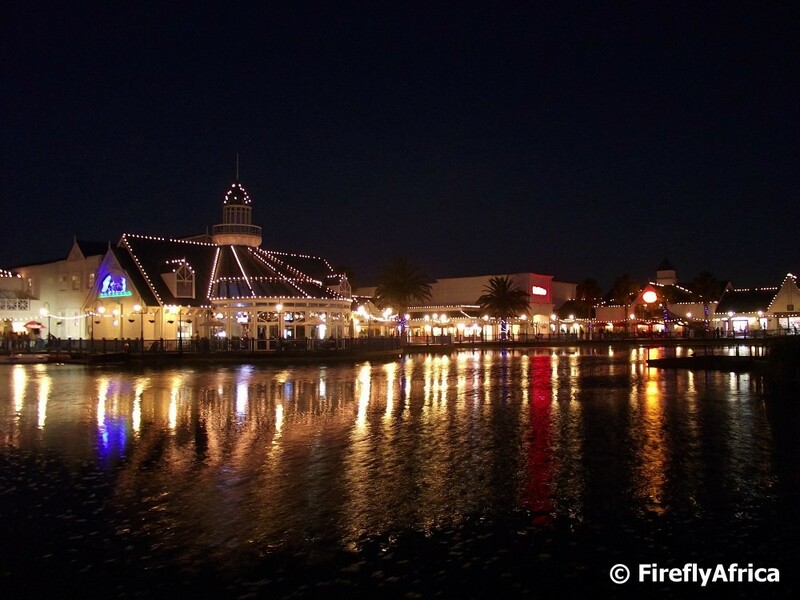 For a couple more pictures of the occasion, visit The Firefly Photo Files. I have mentioned before that I try and go for a walk during my lunch time and I normally end up on the beachfront. Usually there isn't a lot of people walking or jogging at that time of the day. 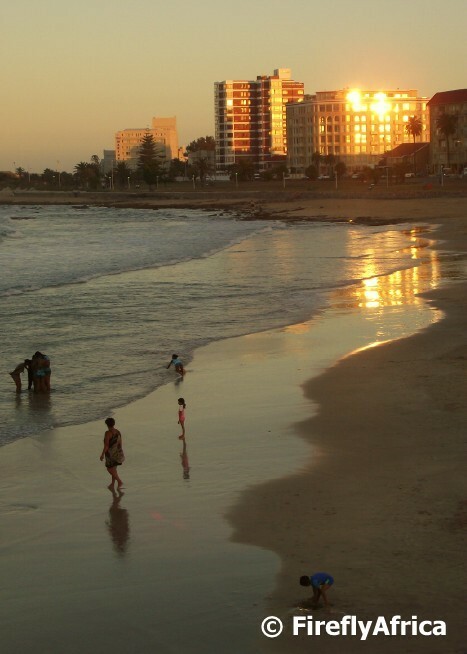 About a week or so ago we went down to the beachfront late on a Saturday afternoon. The weather was playing along and there were hordes of people enjoying the beachfront. The beachfront promenade stretches from Kings Beach past Hobie Beach to Polock Beach. 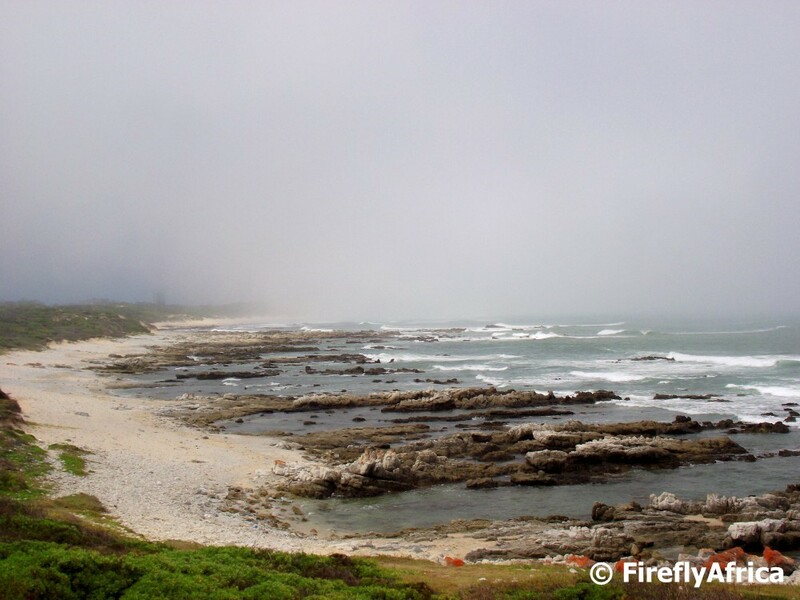 From there the Humpback Dolphin Trail is an extension of the promenade along the coast up to Flat Rocks and Pine Lodge. I remember when I was small and we saw a. airforce jet overhead we always called it a Mirage. Didn't matter if it was or not, in our minds it was a Mirage. 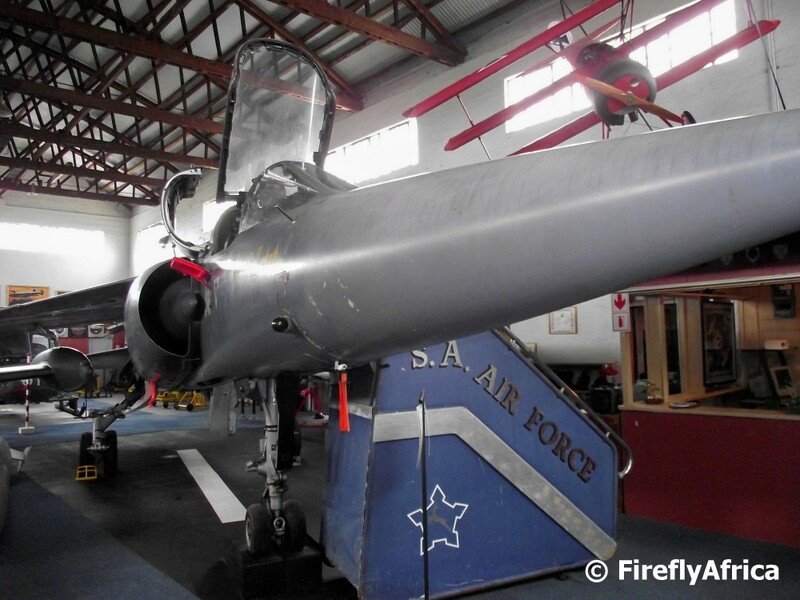 Now if you really want to know what a Mirage looks like, visit the South African Airforce Museum behind the Port Elizabeth Airport. They have a Dassault-Breguet Mirage F1CZ on display which they are busy putting a flight simulator into. Once that is up and running it would be a boost for the museum and hopefully assist in getting more feet through the door. 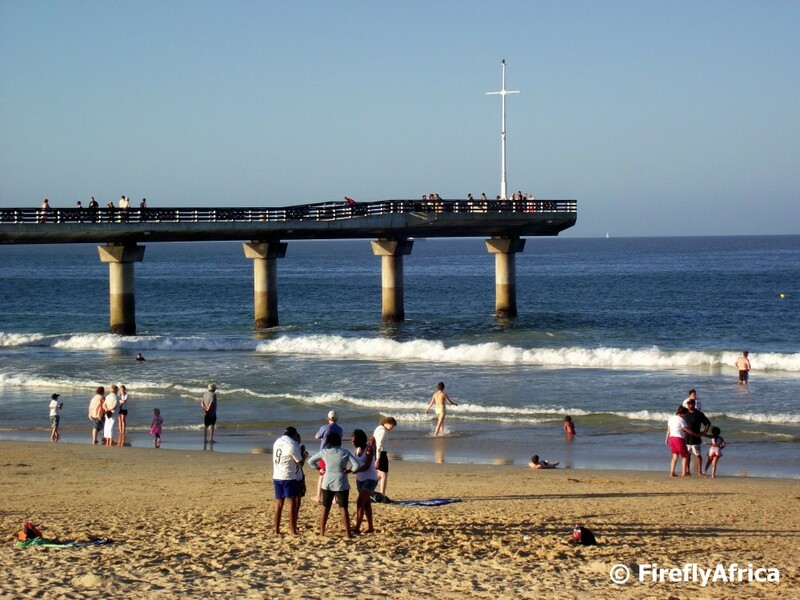 You know its autumn in the Bay when there is a number of people on the beach on a nice warm day but very few in the water. Autumn is setting in and you can already start to feel it cool down early mornings and evenings. The days are slowly starting to loose it's summer edge and, like I said, you do notice that there are less people in the water than in the middle of summer. One of the sites on the South End Museum Heritage Trail is the old St Andrew's Presbyterian Church. 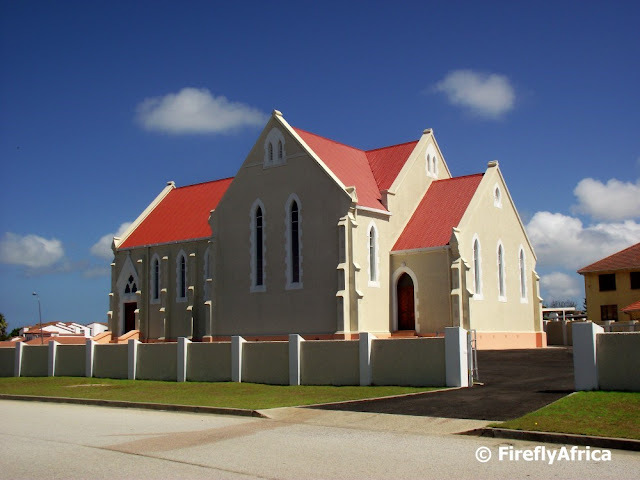 The church was openend in 1901and used by the presbyterians untill they moved out of South End in 1928 and the building was taken over by the Dutch Reformed Church. The Apostolic Church later took over the church and is still using it. I walked down to the St Mary's Cemetery the other day and took a shortcut back past the St Peter's Church ruins in South End. Snapped this one as I was passing by. I met a friend from out of town for coffee at the Kelway Hotel in Humewood last week. 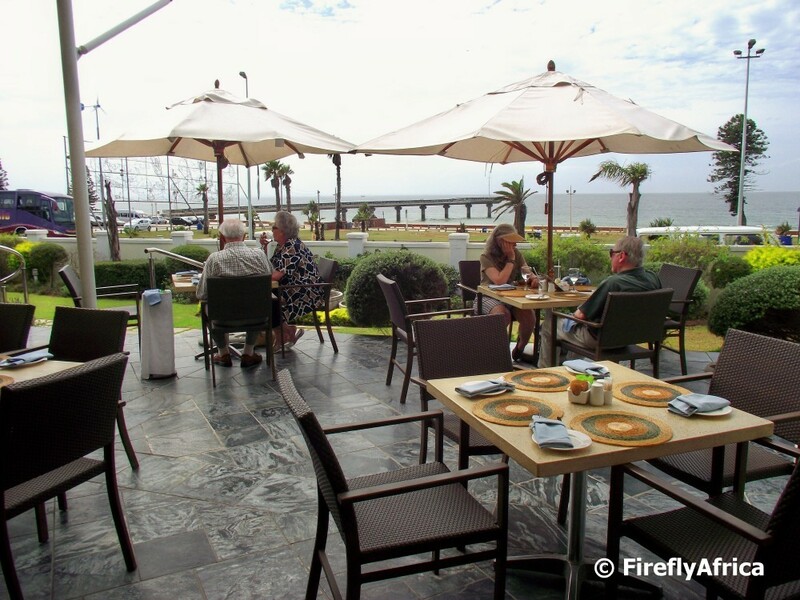 The Kelway has an open deck area at their restaurant with an amazing view of Kings Beach and the Port Elizabeth Harbour entrance. 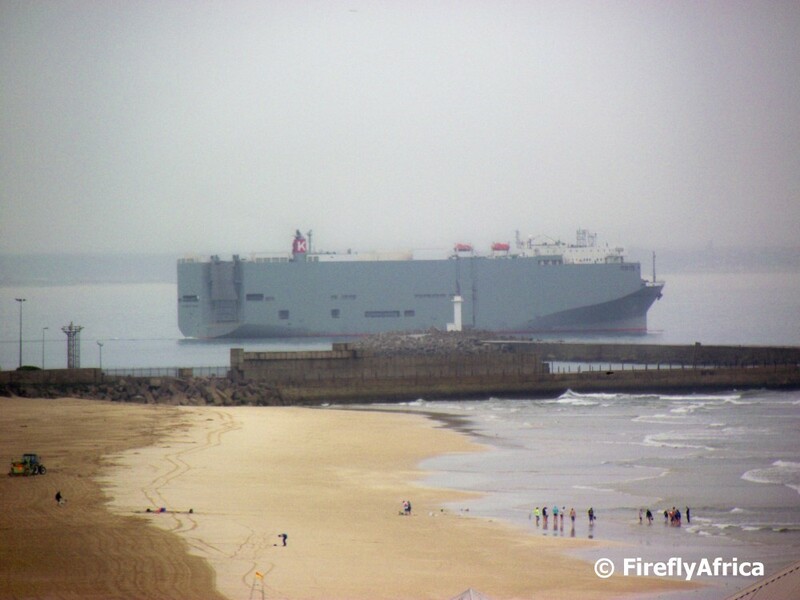 While we were chatting a car carrier ship was leaving the harbour. I kept on eyeing it till she said, "Yes, I know you want to take a photo." Am I that a predictable photographer? LOL!!! The South End Fire Station on Walmer Boulevard is Port Elizabeth's main fire station. 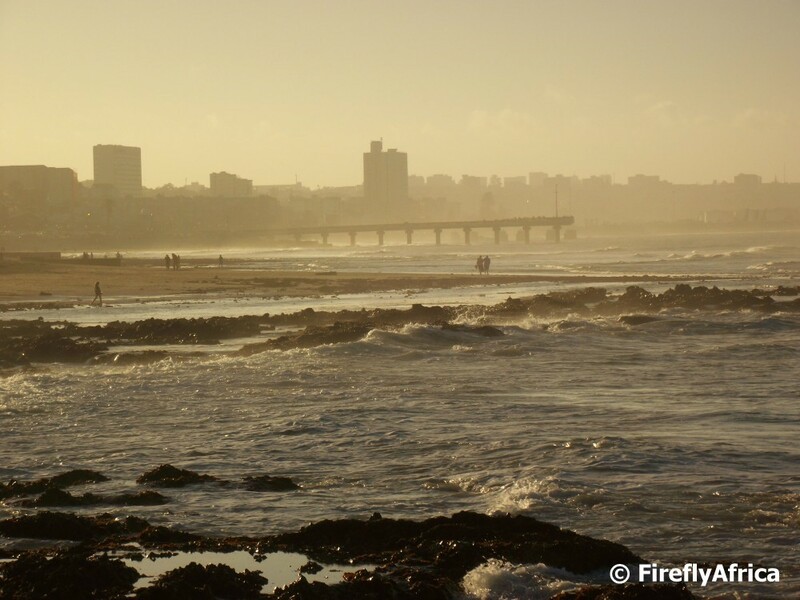 Its also where the Nelson Mandela Bay Municipality's disaster management centre is located. One of the popular lunch and dinner spots on the Port Elizabeth beachfront is the Verandah Restaurant at the Beach Hotel. Sitting out on the verandah it self, the spot has a great view of Hobie Beach, Shark Rock Pier and Algoa Bay. I was at the hotel for a half day session and didn't get a chance to eat, but will hopefully be back some time to perhaps do a review. St Mary's Cemetery used to be the only cemetery in Port Elizabeth in the 1820s, but with the influx of visitors to the town it started to put a lot of strain on the little grave yard next to the Baakens River. Small pieces of land was then given to the various Christian churches in the 1830s and 1840s along the outskirts of what was then the town. One such piece of land was given to the Church of Scotland in 1854 on the western edge of town in part of what is today St Georges Park. Even though I've been past there so many times, I slipped in the gate for the first time the other day to have a peek around. 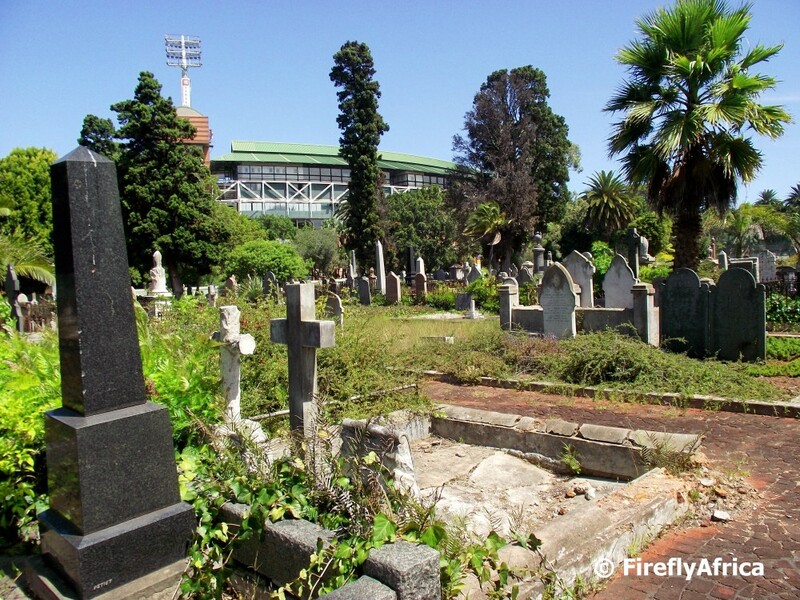 In the picture is the cemetery with the St Georges Park Cricket Ground in the background. 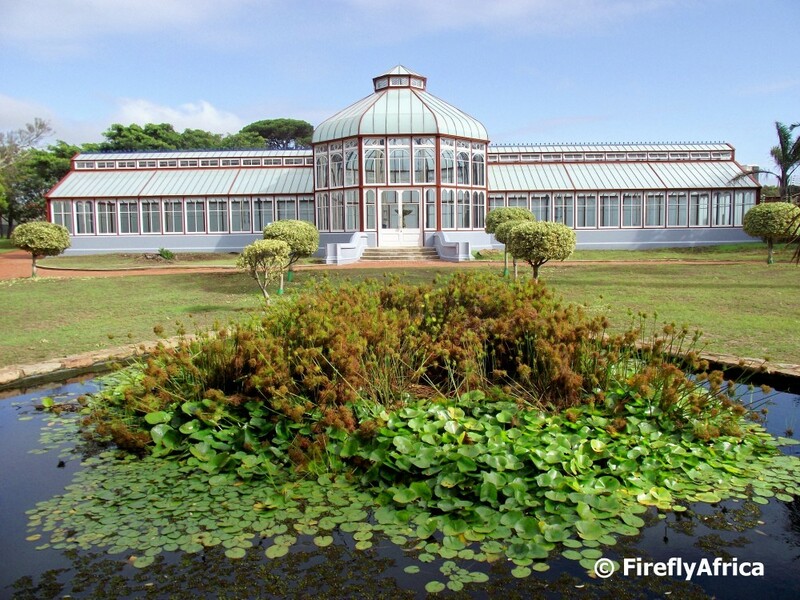 The Pearson Conservatory in St Georges Park was opened in 1882 but over the last decade or so the sand of time had started to take it toll on the old building and it was in need of a major upgrade. The Nelson Mandela Bay Municipality's Parks Department put budget aside for a restoration process and about a year ago they started taking it apart and replacing all the rotten wood and rusted metals. The restoration process is now completed and I popped down late last week to have a peek at what the conservatory now looks like. It is stunning. All that still needs to be done is for plants to be reestablished inside and it would be ready to be reopened to the public in August when St Georges Park celebrates it 150th anniversary. Click here to see a picture I took of the Pearson Conservatory about two or three years ago. 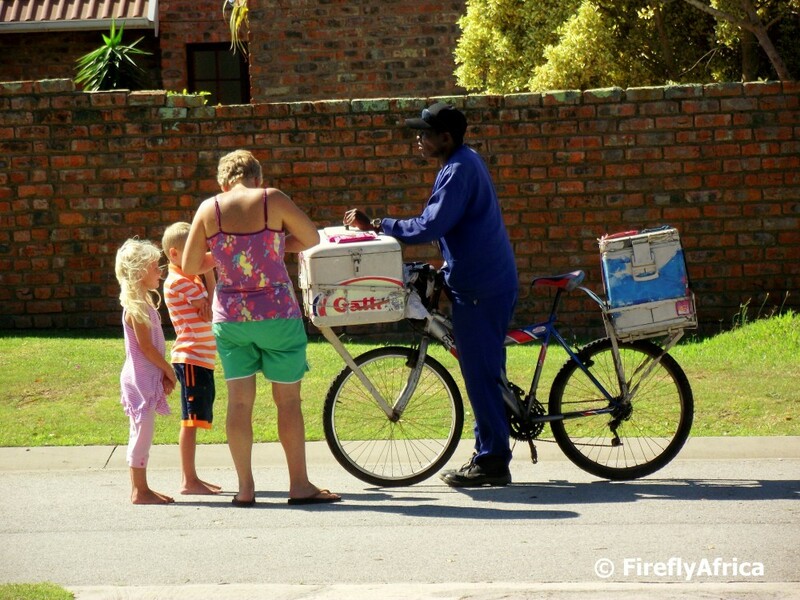 I remember how we bought ice creams from the ice cream man on his bicycle on Sunday afternoons when we were children. You could hear the bell ring as he came around the corner and if we were allowed to buy an ice cream we would run out to the gate as fast as possible to stop him before he passed. The ice cream man still makes his rounds on Sunday afternoons. We don't get him down our street as often as I did when I was small, but my kids know the bell and they know the drill. 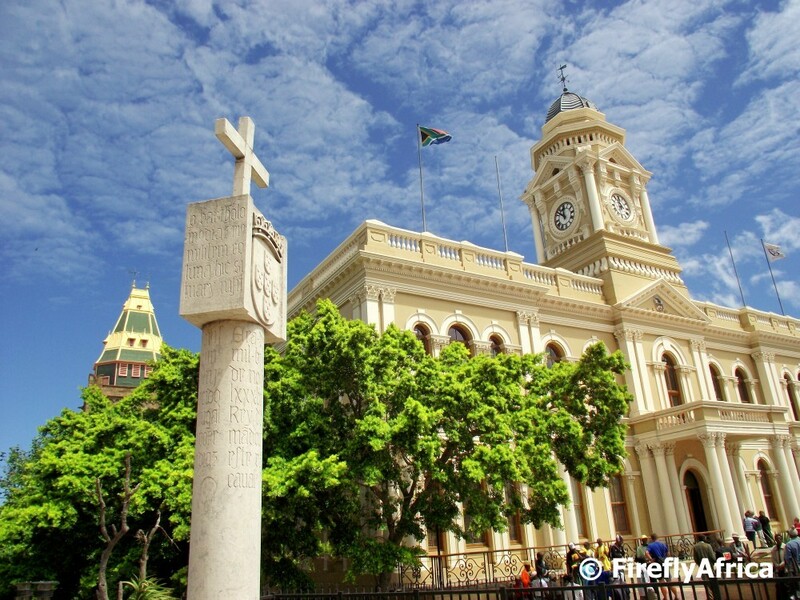 The Donkin Heritage Trail through Port Elizabeth's Central area connect 47 attractions of historical interest along a 5 kilometer long self guided trail. 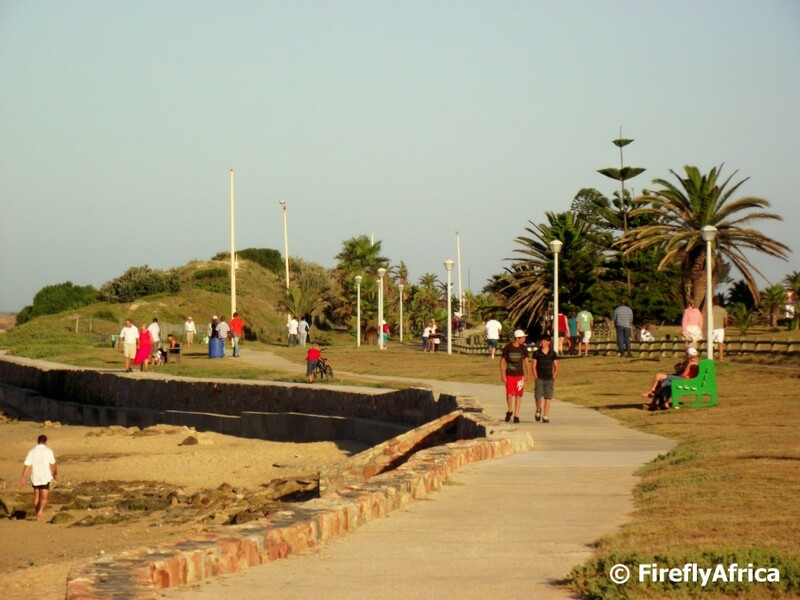 A booklet with the information on the trail can be obtained from the Nelson Mandela Bay Tourism visitor information centre at the Donkin Reserve. 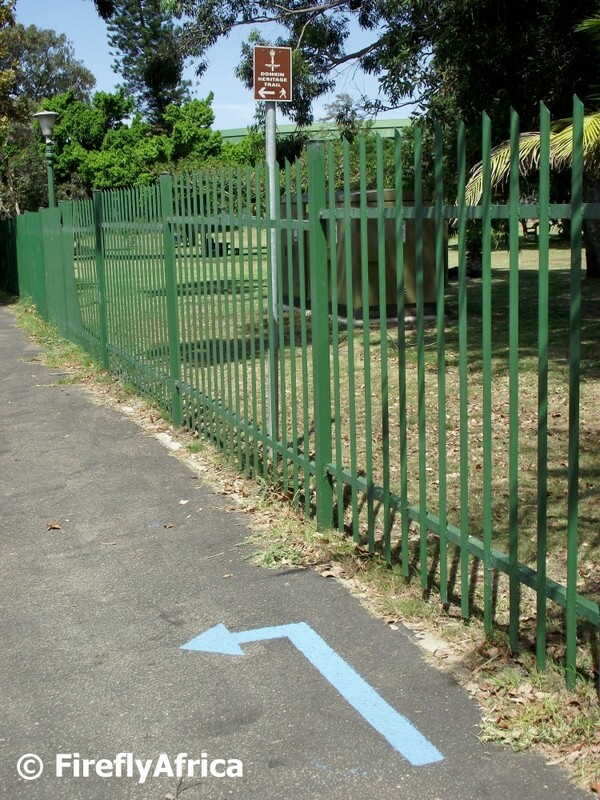 The whole trail is marked by blue lines and visits places like the Donkin, Fort Frederick, the Horse Memorial, St Georges Park and the historic attractions around Market Square. Jeya's Jazz Corner in New Brighton Township is a very popular stop with tourists visiting the township. Noxolo Sume makes a buffet lunch and dinner for tourists by prior arrangement and this normally goes down well with the visitors. On this occasion she made a combination of traditional and western foods. One of the traditional foods on offer on this particular day was "Smileys". Smileys are cooked sheep heads cut in half. 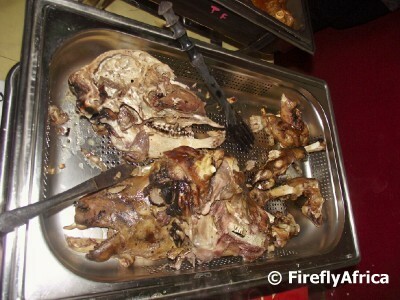 Although its a township delicacy, I wasn't brave enough to try it yet. 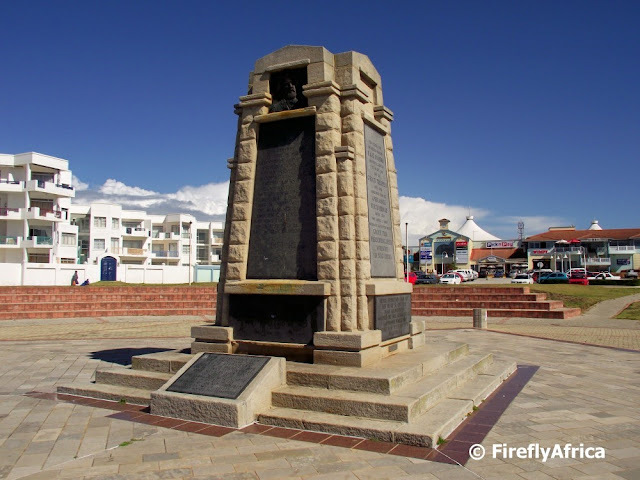 The Piet Retief Monument in Summerstrand stands on what used to be Voortrekker leader Piet Retief's farm Strandfontein. 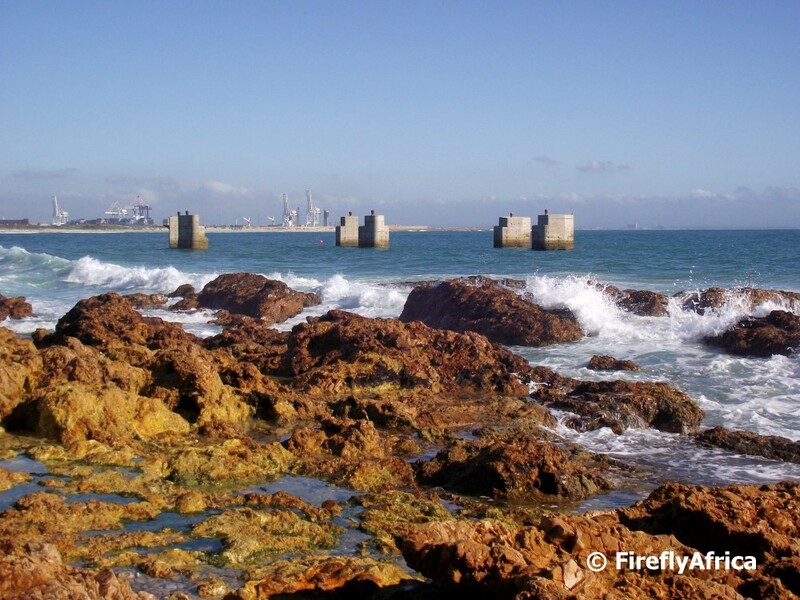 The monument was originally erected in Coega to the east of Port Elizabeth and unveiled in 1939 to commemorate the centenary of the Great Trek. 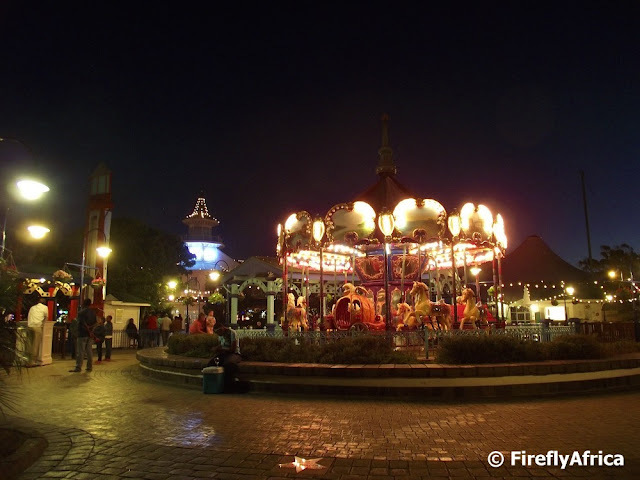 In 1975 is was decided to move it to the location in Summerstrand because of its link to Piet Retief. 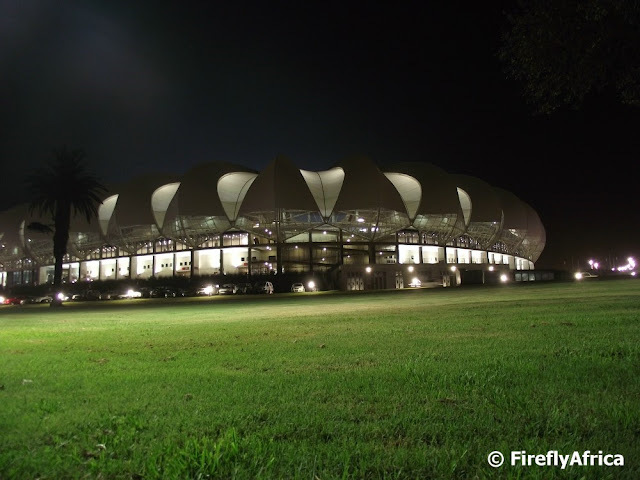 On the way back to the car after the EP King's home game at the Nelson Mandela Bay Stadium here in Port Elizabeth the other night, I saw an angle of the stadium that I haven't photographed yet. I didn't have a tripod and also had to take it through a fence, so I got down on the ground to rest the camera on my backpack. There was a couple of side way glances at me, but I'm used to being looked at funny by now. You do what you have to to get the photo. 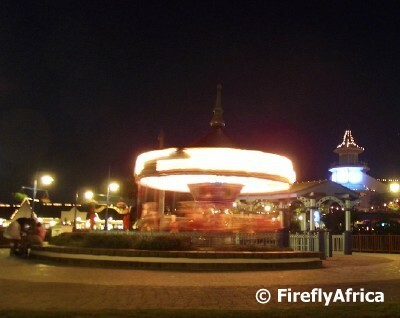 We spent the evening at the Boardwalk the other day and I was busy taking a photo of the Merry Go Round when it started moving. I've never tried to take one of these "movement" pictures at night so I decided to put the setting on night shot and try it. It would have been slightly better if I had my tripod and didn't have to balance the camera on a bench, but still very happy with my first attempt. We get two types of fogs (does that sound right?) 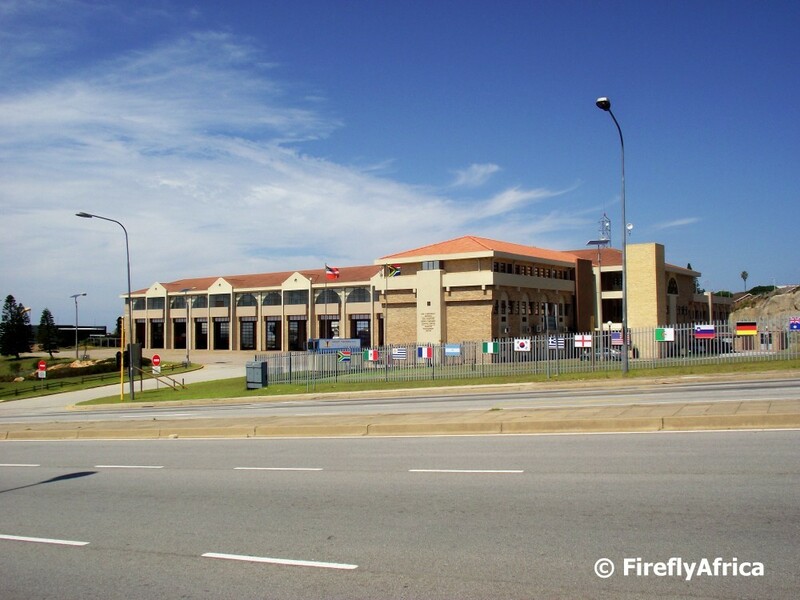 here in Port Elizabeth. The first is when we get up in the morning to milky clouds all around us. Often this is a sign that the day will be very hot once the fog burns away. The second type of fog is when we have a hot day and cold air moves in from the south over the sea. This cool air gets blown onto land as mist. 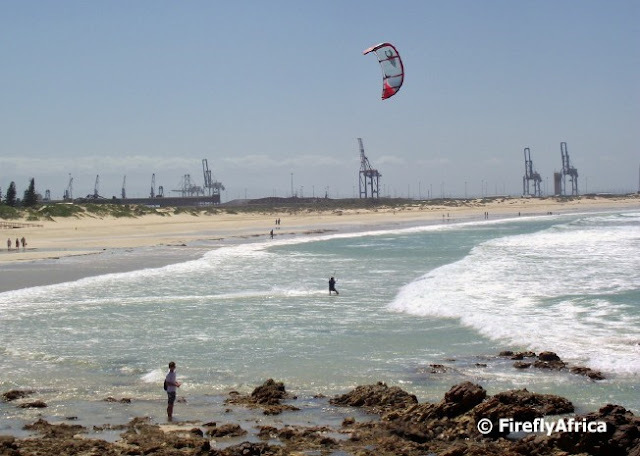 The photo was taken from the lookout close to Noordhoek. Usually the Cape Recife Lighthouse can be seen from here, but on this day the approaching fog obscured it from view. I can just imagine the foghorn calling its haunting call when I look at a pic like this. 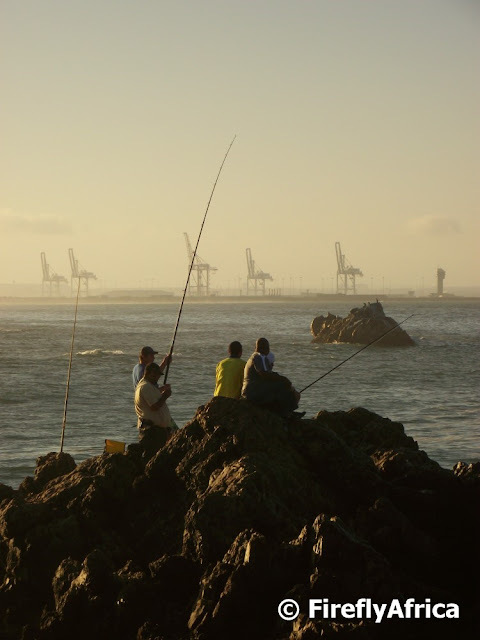 A couple of fishermen on the rocks at Pollok Beach in the late afternoon with the Port Elizabeth Harbour "giraffes" in the background. International visitors really enjoy seeing and experiencing traditional music and dancing when visiting the country. This marimba band was entertaining a group of tourists at a township tavern just before lunch the other day. 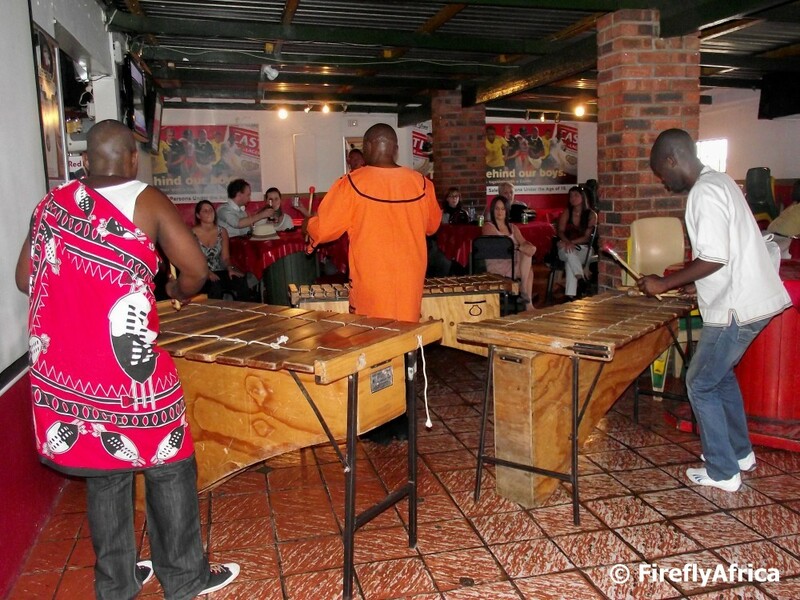 Jeya's Jazz Corner is one of the most popular township taverns in Port Elizabeth and can be found in New Brighton township. 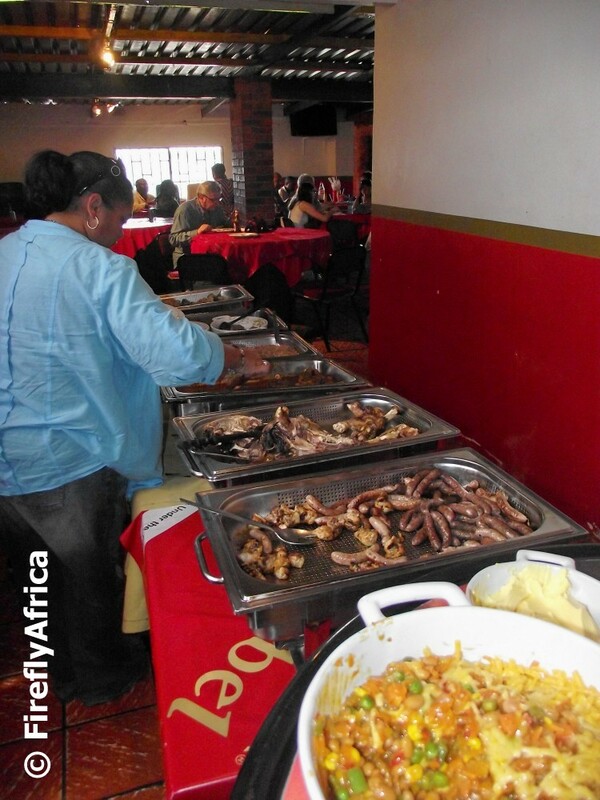 Owner Noxolo Sume often organises for a band or dancers to come and entertain when she has tour groups book for a meal. This view is looking towards the old slipway pillars at Humewood Beach from the rocks next to Shark Rock Pier. I'm always amazed at how some people think that the pillars are ugly and should be demolished. 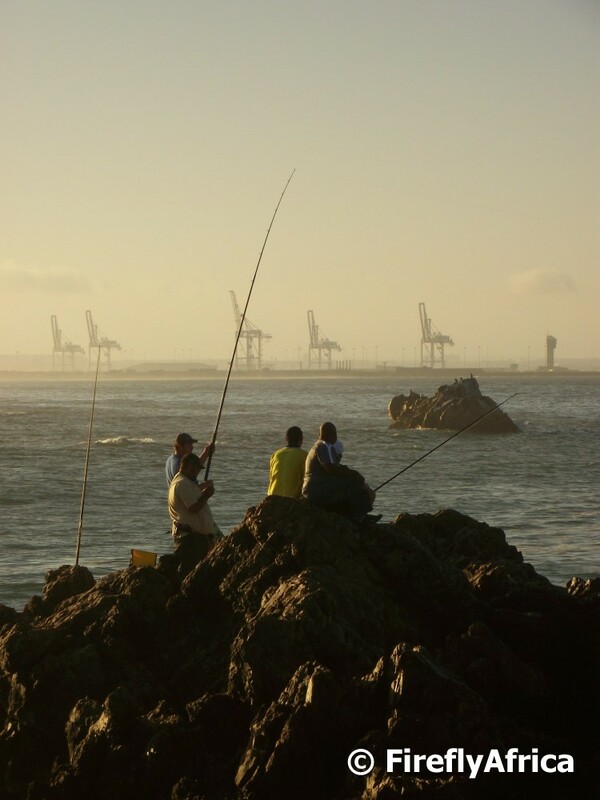 I feel its an important part of our history of before Port Elizabeth had a harbour and should be conserved. 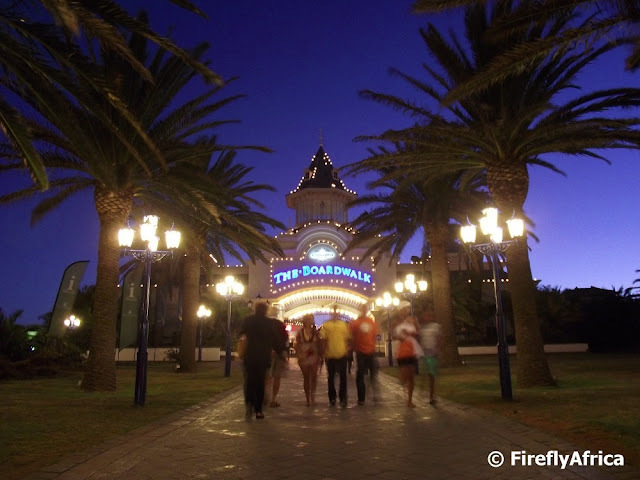 Here is a post for my friend Doné who is always amazed when he reads something new about Port Elizabeth on this blog. It just shows that there is always something new to learn on here. There used to be a building on the corner next to the Public Library in the city centre in the late 1800's and early 1900's. Fireman John Maxwell died fighting a fire in this building on 6 May 1896 and a small memorial erected on the site remembers him. 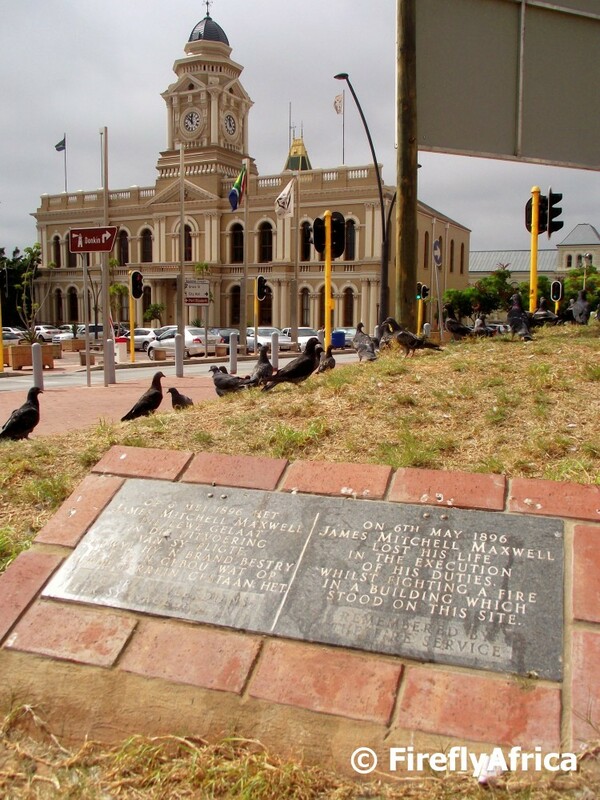 The plaque is just across the road from the Port Elizabeth City Hall. On Sunday the annual BayFM Burger Opskop (see here for last year's post) took place in Despatch. 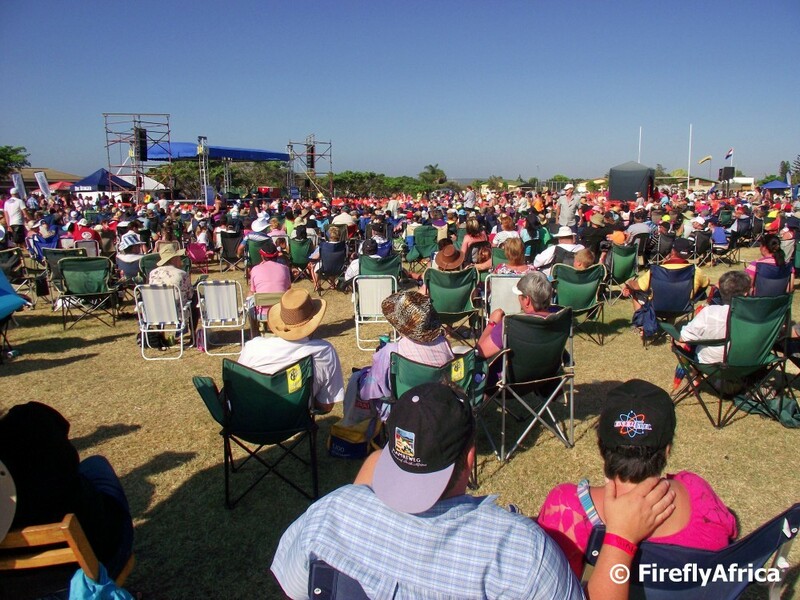 The Opskop is a one day Afrikaans music festival, organised by BayFM, with some of the most popular Afrikaans artists performing on stage all day long. The event isn't just a fundraising event for the community radio station, but also a way for the station to give back to its loyal and supporting Afrikaans listeners. Like last year the day was an alcohol free family day. How awesome is that? Not one drunk oke harassing people and making an (another name for a donkey) of himself.